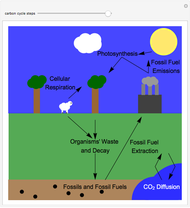 Move the slider to view the steps of the carbon cycle. Mouseover any step to read the description. Nada Al-Alusi "The Carbon Cycle"